hanging in an attempt to meet other’s expectations, he changes in spite of them. 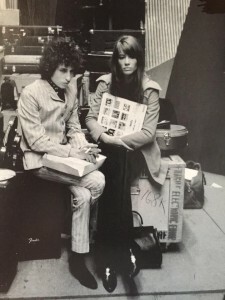 ¶ 2 Leave a comment on paragraph 2 0 He did it again with Another Side of Bob Dylan, a recording that presented his fans and rock journalists a major league curveball. Nobody saw it coming. Another Side was as lighthearted and humorous as Times was heavy and somber. Its songs were as personal as those on Times were political. ¶ 3 Leave a comment on paragraph 3 0 The personal nature of this recording does not necessarily mean its an inferior recording. Yes, it could be argued that the songs on Another Side are not as important in comparison with his earlier albums. True, but it’s hardly a weak album. It Ain’t Me, Babe is a Dylan classic. My Back Pages is a very witty, surprisingly personal statement. Chimes of Freedom is a bell-weather political anthem. To Ramona and Spanish Harlem Incident are slight by Dylan-standards, but nevertheless very well-crafted love songs. ¶ 4 Leave a comment on paragraph 4 0 Another Side was recorded during one long session on June 9, 1964, during which Dylan helped polish off a couple bottles of wine. The wine didn’t seem to detract from the performances, and in fact, may have helped. 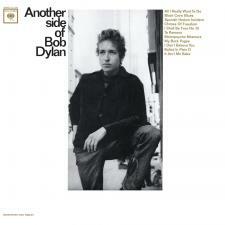 Another Side contains some of Dylan’s most enjoyable performances ever recorded. ¶ 5 Leave a comment on paragraph 5 0 By Another Side Dylan had moved beyond his reliance on traditional folk melodies. He was clearly moving towards a pop/rock sound and more literary-influenced lyrics. Many have speculated that the Beatles were a major influence in this move. Given the colossal impact they were having at the time of this recording, they undoubtedly were. 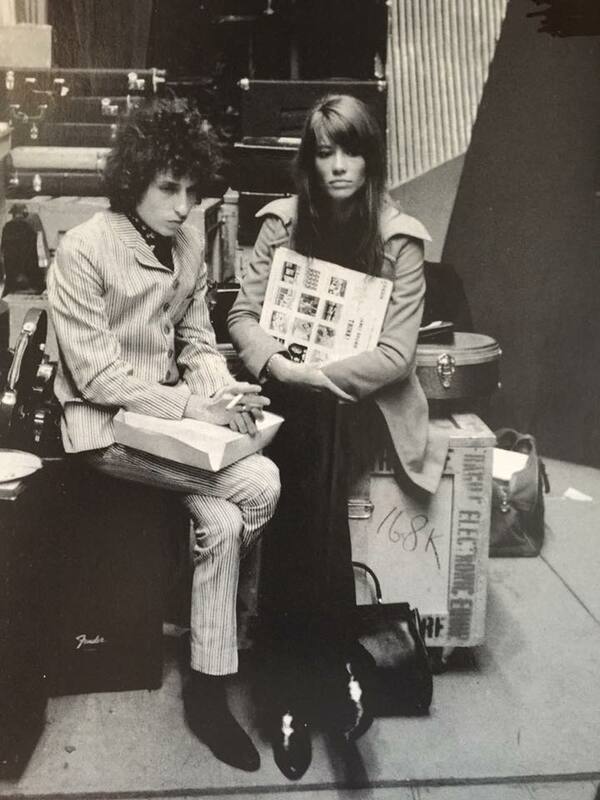 Susie Rotolo, a long-time girlfriend, also contributed by introducing Dylan to new authors, theater and painting. Dave Van Ronk also contributed to his transformation by introducing him to new writers and thinkers (documented in his book The Mayor of McDougal Street). 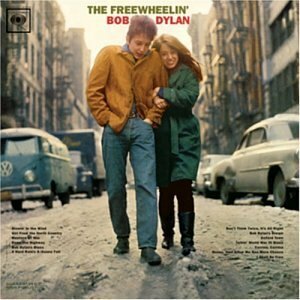 ¶ 6 Leave a comment on paragraph 6 0 Dylan ignored intense pressure from his established fan-base who were demandind that he not change from his older Freewheelin’/Times Are A’Changing style. The folk revivalist movement was very influential at the time and demanded strict adherence to traditional musical styles. The revivalists were not enamored with Dylan’s sudden shift to a more popular, less political, and less traditional style. 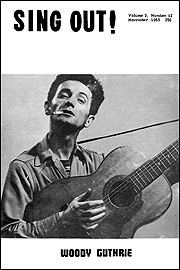 Articles in both The Little Sandy Review and Sing Out lambasted Dylan for “selling out” traditional folk music. 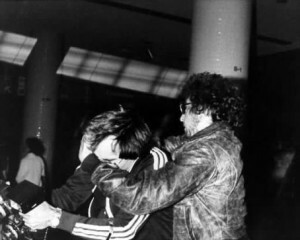 Dylan, as would be the pattern throughout his career, paid them little heed. The full text of the letter is available here. ¶ 8 Leave a comment on paragraph 8 0 Bob Dylan is a notoriously private man leading a very public life. He avoids letting the press or his fans know him on a personal level. In fact, obscuring his personal identity from outsiders has been a hobby of his from the very beginning of his career. At his NYC Town Hall concert in 1964 (which was released as part of the Bootleg Series) he said that he “had his Bob Dylan mask on”, implying that the person we see on stage, the person we listen to on records is not the real Robert Zimmerman. In one of his first recorded interviews he told a whole stream of lies about his personal history, presumably to throw people off his trail. Throughout his career he has often responded with anger or sarcasm if a reporter persists with personal questions. He once actually came to blows with the infamous “garbologist” A.J. Weberman, after he refused to stop pestering him. ¶ 9 Leave a comment on paragraph 9 0 I turn around and it’s like—Dylan. I’m thinking, ‘Can you believe this? I’m getting the crap beat out of me by Bob Dylan!’ I said, ‘Hey, man, how you doin’?’ But he keeps knocking my head against the sidewalk. He’s little, but he’s strong. He works out. I wouldn’t fight back, you know, because I knew I was wrong. He gets up, rips off my ‘Free Bob Dylan’ button and walks away. Never says a word. ¶ 10 Leave a comment on paragraph 10 0 However, Dylan occasionally lowered his guard in his liner notes of his early albums. In the notes for Times he reminisces at some length about his childhood, his youthful dreams, his ambitions. He is particularly revealing (and thought provoking) in the notes he wrote for Joan Baez’s In Concert Part 2. ¶ 11 Leave a comment on paragraph 11 0 In the Another Side notes Dylan reveals quite a lot about his state of mind at the time of the recording and goes a long way toward explaining why he made such an abrupt change in direction. He touches on many of the same themes explored in the album’s songs. Because these notes reveal so much behind the songs on the album, I think it’s worth the effort to explore the notes in some detail. ¶ 13 Leave a comment on paragraph 13 0 “Good and evil are but words”…. “what grounds are grounds for judgment”….. “I will listen t’ no one who tells me morals/ there are no morals”… Dylan tells a short tale in the notes about watching two boys playing cowboys and Indians, taking turns being the “good guy”, whom they both assume is the cowboy. Dylan is obviously not so sure anymore just who the good guy is. Dylan writes “i have t’ go t’ the woods” to think about things, to contemplate this newly complex and uncertain world. ¶ 14 Leave a comment on paragraph 14 0 Disillusionment, particularly with politics, is a theme repeated several times. Dylan writes that there are “no politics”, seemingly disavowing the entire sixties political scene. He also makes two other references that clearly tell the reader that he personally is removed from the battle politic. First, he says he’s far from “erhard meeting johnson”. ¶ 15 Leave a comment on paragraph 15 0 A little explanation is need for that reference. Ludwig Erhard was the Chancellor of the Federal Republic of Germany from 1963-65. Erhard met with Lyndon Johnson at the LBJ ranch in December 1963, just a month or so after the assassination of John Kennedy. ¶ 21 Leave a comment on paragraph 21 0 Other interesting tidbits. ¶ 22 Leave a comment on paragraph 22 0 Dylan includes a number of lines in the notes that are used verbatim or are echoed closely in songs on Another Side and later on Bringing It All Back Home. ¶ 23 Leave a comment on paragraph 23 0 The phrase “uselessly alone” is used in Tombstone Blues: “Causes Galileo’s math book to get thrown / At Delilah who sits worthlessly alone.” The lines “good an’ evil are but words / invented by those / that are trapped in scenes” is a similar thought to the sentiments expressed in My Back Pages: “Good and bad / I define these terms/ Quite clear, no doubt, somehow.” The phrase “left me here t’ stand” is used directly in Mr. Tambourine Man. The lines “an’ who knows someday /someone might even / write a song about you” is similar to these lines in To Ramona: “And someday maybe / Who knows, baby / I’ll come and be cryin’ to you”. ¶ 27 Leave a comment on paragraph 27 0 You know, Bob Dylan came to my house ten years ago. Joan Baez and her sister [singer Mimi Farina] brought him and some friends to see me. But Dylan was snooty and arrogant. He was a kid then, of course. And he didn’t like me. He thought I was talking down to him, which I wasn’t. I was trying to be sociable. But we just couldn’t get together. But I know that he is a character, probably a genius, and I really should listen to his work. I’m full of prejudices like everybody else. My kids love him and the Beatles and all the rest. ¶ 31 Leave a comment on paragraph 31 0 Another Side is the most personal recording Dylan would make until Planet Waves was released in 1974. It is a remarkable recording and deserves more attention than it receives.